Four girls - Stephanie Fausse, Lily Clarke, Scarlett Lennon and Katie O’Dwyer all excelled when they finished runners up in the National Schools U13 Girls Table Tennis Finals held at Hinckley Leisure Centre. Representing Thomas Aveling School, Katie in particular did remarkably well only losing once all day. They were defeated 6-2 in the final to a School from Ripley, Lancaster. 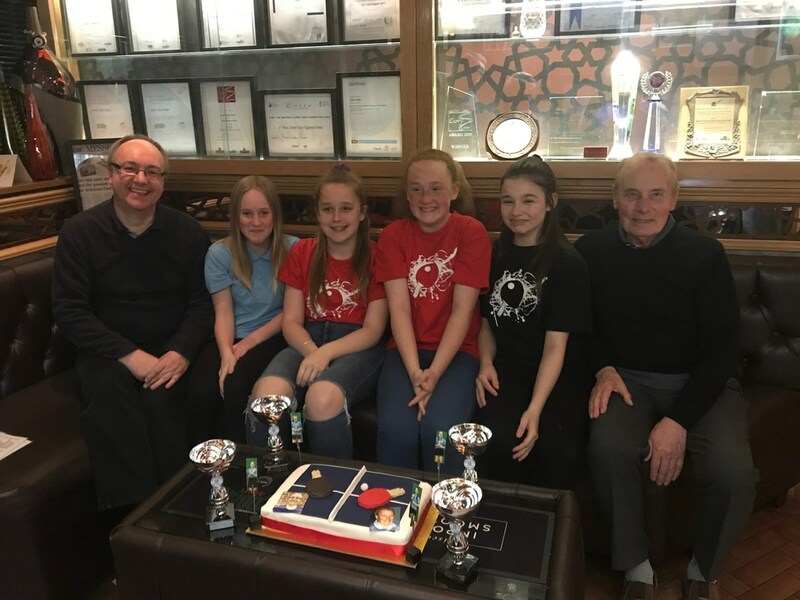 The girls from Garstang TTC play regularly in their local league, and included the daughter of Ian Felton who played for many years in the MTTTL. All of our girls play in the Medway Development League at the Howard School on a Thursday Evening. If you are interested in playing in our Development League, please contact Trevor Towers.